Description: CPE Printed Felt can be use in a variety of ways in a variety of projects. It's easy to cut, paste and decorate and ideal for children's crafts. 100% acrylic. Polka Dot Pink- Pink with 1/2 inch White dots. 9 x 12 inch. 12 pc. CPE Printed Felt 9 x 12 in. 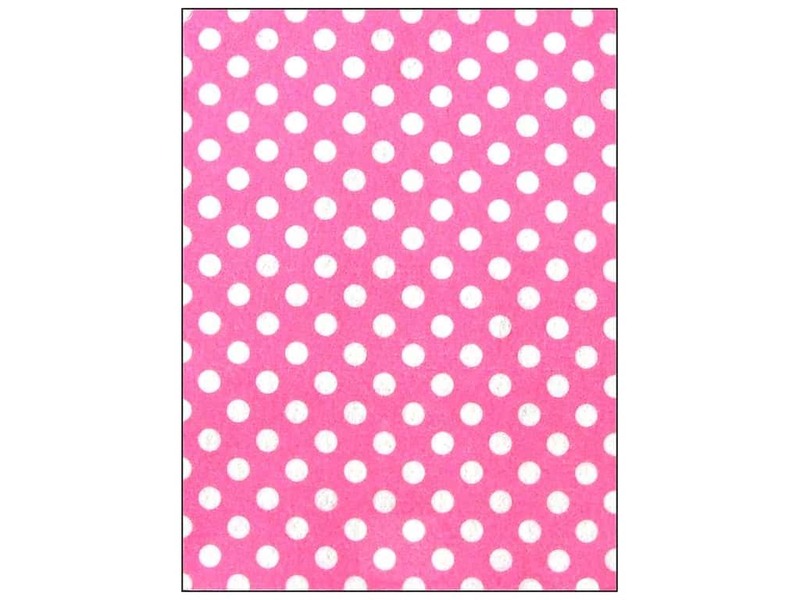 Polka Dot Pink (12 sheets) -- CreateForLess 0.00 out of 5 based on 0 ratings. 0 user reviews.